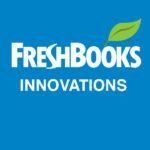 What is the latest FreshBooks news? A month ago, FreshBooks CEO Mike McDerment announced the biggest transformation of his once modest accounting startup. What used to be a small-biz and freelance friendly system is becoming an enterprise-grade suite, and will now carry all the capacity that comes in the bandwagon with such attribute. Users couldn’t be happier to hear the news: with approximately 10 million satisfied clients around the globe, this $7 million investment in the new version simply had to succeed. And it did. What took FreshBooks one step ahead of competition was the way it packed fast and accurate invoicing in a streamlined management kit. Users appreciate how it can be easily navigated, and how it lets you launch successful finance management without any accounting knowledge whatsoever. Nevertheless, both technology and business markets are changing, and CEO McDerment had no choice but to follow the stream of modernization. According to him, there was no better way to keep up with the crowd than to make his product simpler, both in terms of how it looks and how it functions. There was no sign of clear intention to satisfy the hunger of large accountants, but accidentally or not – it happened. We really believe you will hear more about FreshBooks news and latest features now than ever before. But what exactly had to happen for the accounting landscape to change so dramatically? Explained in plain English, the FreshBooks team redesigned what was already an intuitive interface, and made it possible for companies to follow profitability from a single space. The new version also comes with advanced personalization, and expense entries look like genuine payment receipts. Busy users will also appreciate the fact that they are reminded automatically of overdue invoices, and so are customers supposed to pay those. In fact, there is a lot of extra customization to make life easier, as we are about to see later. Expense categories are pared down with a single contact noted for each company, but as McDerment concluded, this was not the best idea of the system’s developers, and much of the original expense segregation will return in the beta version. The affordable FreshBooks pricing, nevertheless, didn’t and won’t change, to the advantage of users invoicing thousands of dollars every month. What the new FreshBooks will be distinctively powerful about will be collaboration. For the first time, users will have a streamlined in-platform channel for discussing and sharing documents, including those that are not related to invoicing. They, and all other subscribers, will not be required to switch systems: for as long as the Basic and the New version exist in parallel, the user gets to choose whether he wants to upgrade or not. For FreshBooks developers, their new product is an overwhelmingly simple finance abode with enterprise-level functionality. Midmarket and large businesses are now in position to put hands around that functionality, benefiting from off-shelf prices and enhanced integrations. To make matters even better, FreshBooks announces a number of jaw-dropping features for the future, and expects to fare even better as a smart accounting tool. FreshBooks did not abandon traditional accounting paths, as its first intention was to preserve basic invoicing/billing power. What it did was to transform it into an enjoyable experience which saves your time by giving you quick access to imperative operations, and helps you manage easily the colorful and well-organized dashboard. Integrations help data flow seamlessly from one system to the other, and a completely new collaboration suite is available for teams to share files. The first thing that will come to your attention is how the new FreshBooks measures progress: it is still based on simple mechanisms, but includes numerous business management hooks that were not there before. Invoices are refreshed and fully customizable, as for each of them there is a settings bar where the user sets due dates, makes notes, enables tracking and notifications, and manages to charge overdue fees without disputing them. The most fascinating part in any case is the Project Suite, where one indeed experiences the genuine benefit of streamlined communication and collaboration. In FreshBooks, all documents are stored in a single database, and users assigned by the manager are allowed to discuss them, access them, use them, or even edit them, while all other team members are notified about it with inbox notifications. As usual, FreshBooks performs impeccable time tracking, thanks to which the manager knows exactly who is doing what, how, and when. The very same capability is believed to target FreshBooks as a project management suite, or a task management one, if you prefer so. Comparing the technicalities of FreshBooks’s basic and current version, we observed the user is not about to lose track of multi-currency expenses, or the right to manage multiple businesses from one dashboard and store documents and conversations for each of them. What has really transformed in the product’s cloud accounting capacity is the right for users to accept upfront payment deposits via several gateways, have taxes calculated automatically, and getting to customize invoices as they prefer them to be. Speaking of payments, there will be a unique opportunity for every user to make deposits to his account, record payments or note fees as expenses, and rely on the triple-check safeguard system when working with sensitive data. When it comes to expense management, one should also analyze the practical organization delivered by this system, as for instance the opportunity to memorize vendors, add expenses to tax-acquainted categories, edit business documents, and use snap receipts for more transparency. Tracking is also simplified with automated hourly bills, tracking groups and teams, and monitoring tasks in daily breakdowns, with entry notes attached on each of them. Last, but not least, the new FreshBooks will offer out-of-the-box reporting: a number of new filters will help users pull out magnificent profit/loss and sales tax reports, customize those to their wishes, and export them easily in the desired format. Just as it was before, all features can be tested using their free trial. However you decide to target it, FreshBooks is a game changer with an underpinning technology that promises more future development; and a look on how they’ve updated so far confirms it. Only in the last year the innovation trend jumped ten points higher than it did in all previous years, all that while keeping the prices stable and unchanged. There’s no need to take a leap of faith with it though, as the free trial is always available and if you’d like to explore some other options you can for example take a look at our FreshBooks vs. Xero comparison.